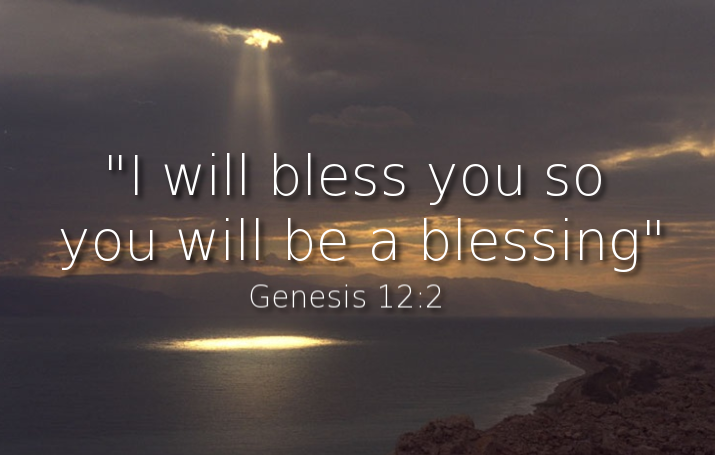 Who is sent to be a blessing and to meet the needs of others? Christ in Us. If He indeed is in us. His hands, His feet, His body going forth. But He is faithful and true. 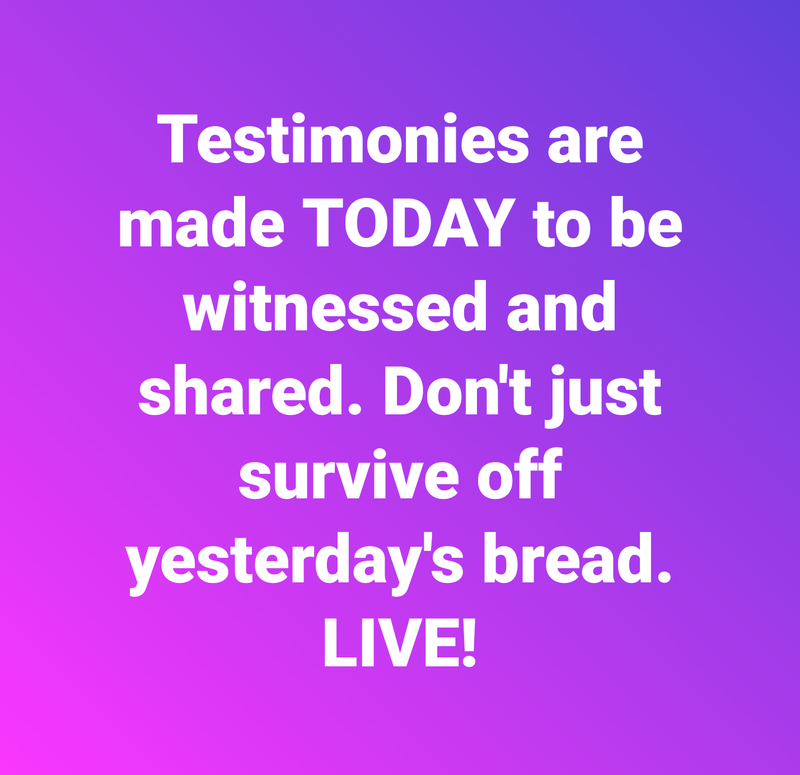 Too often in the past we have relied only upon the blessed assurance of a “yesterday’s testimony” not in our actively living out a testimony TODAY. Too often in the past we have relied only upon a Word imparted to us on a Sunday to feed us for our Monday through Saturday. I say, “No more! Too much blessing, too much anointing, too much life, too much service unto others, too much love, and too much sharing of this Good News is being left untouched on the ground each day! Too many are feeding on the worms and decay of old bread when TODAY is here and waiting for us!” LORD, forgive us and lead us into repentance and into life, TODAY, and for every TODAY until TODAY is no longer called TODAY. Amen. Then the Lord said to Moses, “Behold, I am about to rain bread from heaven for you, and the people shall go out and gather a day’s portion every day, that I may test them, whether they will walk in my law or not. On the sixth day, when they prepare what they bring in, it will be twice as much as they gather daily.” So Moses and Aaron said to all the people of Israel, “At evening you shall know that it was the Lord who brought you out of the land of Egypt, and in the morning you shall see the glory of the Lord , because he has heard your grumbling against the Lord . For what are we, that you grumble against us?” And Moses said, “When the Lord gives you in the evening meat to eat and in the morning bread to the full, because the Lord has heard your grumbling that you grumble against him—what are we? Your grumbling is not against us but against the Lord .” Then Moses said to Aaron, “Say to the whole congregation of the people of Israel, ‘Come near before the Lord , for he has heard your grumbling.’” And as soon as Aaron spoke to the whole congregation of the people of Israel, they looked toward the wilderness, and behold, the glory of the Lord appeared in the cloud. And the Lord said to Moses, “I have heard the grumbling of the people of Israel. Say to them, ‘At twilight you shall eat meat, and in the morning you shall be filled with bread. Then you shall know that I am the Lord your God.’” In the evening quail came up and covered the camp, and in the morning dew lay around the camp. And when the dew had gone up, there was on the face of the wilderness a fine, flake-like thing, fine as frost on the ground. When the people of Israel saw it, they said to one another, “What is it?” For they did not know what it was. And Moses said to them, “It is the bread that the Lord has given you to eat. This is what the Lord has commanded: ‘Gather of it, each one of you, as much as he can eat. You shall each take an omer, according to the number of the persons that each of you has in his tent.’” And the people of Israel did so. They gathered, some more, some less. But when they measured it with an omer, whoever gathered much had nothing left over, and whoever gathered little had no lack. Each of them gathered as much as he could eat. And Moses said to them, “Let no one leave any of it over till the morning.” But they did not listen to Moses. Some left part of it till the morning, and it bred worms and stank. And Moses was angry with them. Morning by morning they gathered it, each as much as he could eat; but when the sun grew hot, it melted. On the sixth day they gathered twice as much bread, two omers each. And when all the leaders of the congregation came and told Moses, he said to them, “This is what the Lord has commanded: ‘Tomorrow is a day of solemn rest, a holy Sabbath to the Lord ; bake what you will bake and boil what you will boil, and all that is left over lay aside to be kept till the morning.’” So they laid it aside till the morning, as Moses commanded them, and it did not stink, and there were no worms in it. Moses said, “Eat it today, for today is a Sabbath to the Lord ; today you will not find it in the field. Six days you shall gather it, but on the seventh day, which is a Sabbath, there will be none.” On the seventh day some of the people went out to gather, but they found none. And the Lord said to Moses, “How long will you refuse to keep my commandments and my laws? See! The Lord has given you the Sabbath; therefore on the sixth day he gives you bread for two days. Remain each of you in his place; let no one go out of his place on the seventh day.” So the people rested on the seventh day. Now the house of Israel called its name manna. It was like coriander seed, white, and the taste of it was like wafers made with honey. Moses said, “This is what the Lord has commanded: ‘Let an omer of it be kept throughout your generations, so that they may see the bread with which I fed you in the wilderness, when I brought you out of the land of Egypt.’” And Moses said to Aaron, “Take a jar, and put an omer of manna in it, and place it before the Lord to be kept throughout your generations.” As the Lord commanded Moses, so Aaron placed it before the testimony to be kept. The people of Israel ate the manna forty years, till they came to a habitable land. They ate the manna till they came to the border of the land of Canaan. Huge thanks to Mr. John B. Burgess Sr for this song. A wise, loving friend to so many. Woe to you who desire the day of the Lord! Why would you want the day of the Lord? It is darkness and not light; It is as if a man fled from a lion and a bear met him, or went into the house and leaned with his hand against the wall and a serpent bit him. Shall not the day of the Lord be darkness, not light? Even very dark with no brightness in it? I hate, I despise your feasts, and I will not smell a savor or take delight in your solemn assemblies. Though you offer Me your burnt offerings and your cereal offerings, I will not accept them, neither will I look upon the peace or thank offerings of your fatted beasts. Take away from Me the noise of your songs, for I will not listen to the melody of your harps. But let justice run down like waters and righteousness as a mighty and ever-flowing stream. Thus He showed me, and behold, the Lord stood upon a wall with a plumb line, with a plumb line in His hand. [II Kings 21:13; Isa. 34:11.] And the Lord said to me, Amos, what do you see? And I said, A plumb line. Then said the Lord, Behold, I am setting a plumb line as a standard in the midst of My people Israel. I will not pass by and spare them any more [the door of mercy is shut]. And the [idolatrous] high places of Isaac (Israel) shall be desolate and the sanctuaries of Israel shall be laid waste, and I will rise with the sword against the house of King Jeroboam [who set up the golden calf shrines]. Then Amaziah the priest of [the golden calf shrine at] Bethel sent to Jeroboam king of Israel, saying, Amos has conspired against you in the midst of the house of Israel; the land is not able to bear all his words. [I Kings 12:31, 32.] For thus Amos has said, Jeroboam shall die by the sword and Israel shall surely be led away captive out of his land. Also Amaziah said to Amos, O you seer, go! Flee back to the land of Judah [your own country], and eat your bread and live out your profession as a prophet there [as I perform my duties here]. But do not prophesy any more at Bethel, for it is the king’s sanctuary and a seat of his kingdom. [Luke 10:10-12.] Then Amos said to Amaziah, I was no prophet [by profession]! Neither was I a prophet’s son; [but I had my occupation] I was a herdsman and a dresser of sycamore trees and a gatherer of sycamore figs. And the Lord took me as I followed the flock and the Lord said to me, Go, prophesy to My people Israel. Now therefore listen to the word of the Lord: You say, Do not prophesy against Israel and drop no statements not complimentary to the house of Isaac. Therefore thus says the Lord: Your wife shall be a harlot in the city and your sons and your daughters shall fall by the sword, and your land shall be divided up by line; you yourself shall die in an unclean and defiled land, and Israel shall surely go forth out of his land into exile. Do you know His love? Have you tasted of it? Do you remember when He first kissed you with the drawing of His Word? Have you drank of this spiritual nourishment for your soul that washes over you like a fresh spring bubbling out of a new heart and invading every Crack and crevice of your being? Is it hard at times to contain the love that He pours out on you, even amidst the trials and challenges and struggles of this world, this day, this moment – do you find that peace and joy are winning out in your heart? Has He poured out His Holy Spirit on you, friend? Don’t be afraid to be filled with the one spirit that God tells you to be filled with. Draw close to God and He will draw close to you. 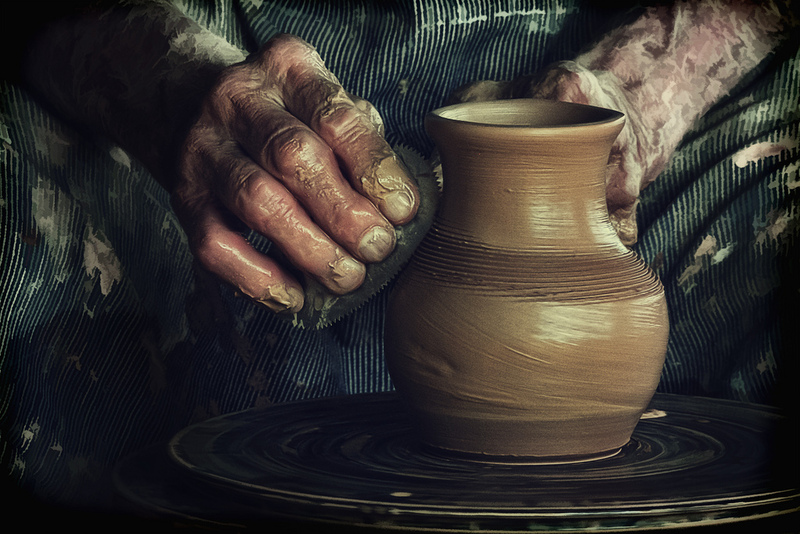 Faithfulness is not the same thing as works. Faithfulness is turning to God and not continuing in our sinful ways. Faithfulness is a result of belief. It is a result of the inherent grattitude that exists in someone who believes in and loves the Lord. Faithfulness is also called repentance, and it is not meant to be heavy and burdensome if we are a new creation looking to surrender our life to Christ. If repentance is burdensome, then it is because of a lack of faith and trust in the Lord. Now, please understand that I don’t condemn you for not yet having adequate faith to overcome every temptation and trial that you are facing. That isn’t my position or my argument. No, I’m here to encourage you that we are meant to grow closer to Christ, faith by faith, grace by grace, and trial by trial. I’m pointing you to the only gate that you can enter into, not telling you that you cannot enter. Faithfulness is our due as a RESULT of God’s mighty work IN US. It is Abraham’s faith that was counted as righteousness. Faithfulness is not measured in a pile of physical evidence. Faithfulness is the truth about what our heart desires. Works are easy to quantify, just like sin is easy to quantify, because it is visible and recognizable. And yes, a faithful life of a genuine child of God should generate a shift in the balance of works and sin in someone’s life. That’s what the indwelling of the Holy Spirit produces in a life, because a life turned to God and walking in His ways will produce a very different fruit than a life of rebellion. However, works can be faked in pride instead of grattitude. And the appearance of less sin can be faked with outward compliance instead of heartfelt obedience. Compliance and obedience are NOT the same. Nor do they come from the same source, have the same intentions, or achieve the same end results. The truthful answer to this short, sharp, probing question should be of value to each one of us. 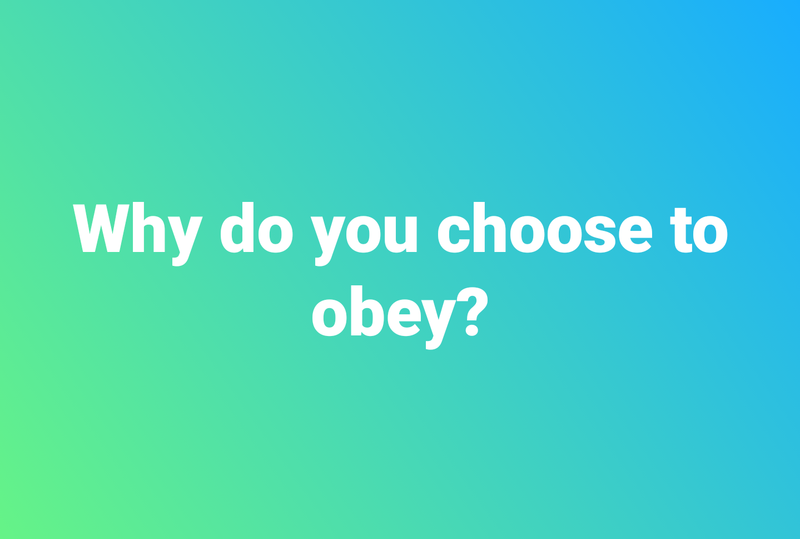 If we flippantry say, “I don’t have to obey” — that should tell us who our true master is. If it convicts us over something we have done recently that was disobedient — that should encourage us to confession, repentance, drawing closer to the Lord, and remembering the price paid. If we swell with great plans of our ministerial works and testimonies of our obedience — be careful because pride comes before a fall. If our answer draws us back to wonder and awe, with no excuse for our ownobedience other than He has birthed it in us through a heart of gratitude for what is undeserved but nevertheless received — go, share this Good News, faithful and true messenger! We can read to find that Solomon’s shops had returned in safety and prosperity, but Jehosephat’s vessels never reached the land of gold. The protective care of God prospers one and frustrates the desires of another – in the same business and at the very same spot. Even so, our Great Ruler is as good and wise in the one instance as at the other. I’m reminded by Job that He is the LORD that gives, and the LORD that takes away. LORD, give us grace and peace in this verse that we receive and that is not stolen away by the enemy — so that we bless you both for ships broken at Ezion-geber as well as for vessels filled with temporal blessings. Trusting in you, we will not envy the more successful, and we won’t grumble over our losses as if we’ve been singled out and tried in some way we foolishly think is “special and unique way tand not common to all men”. 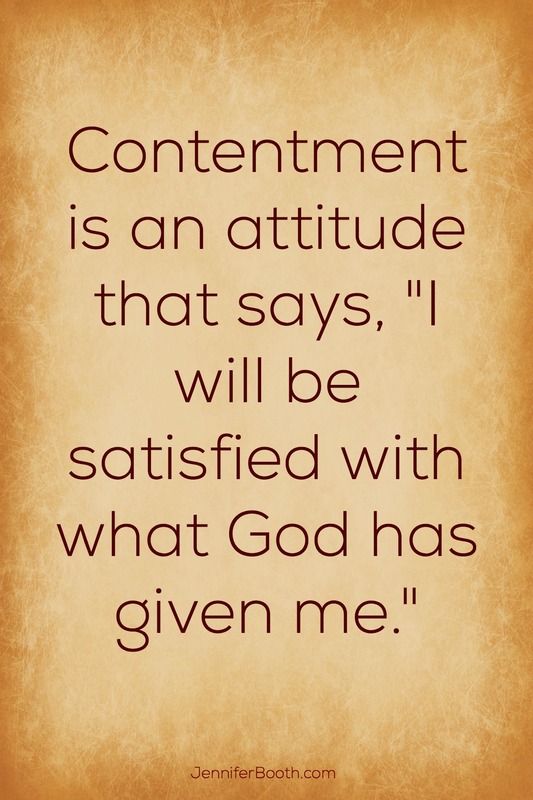 Remind us that when our path goes the way of Jehosephat, that we are precious in the Lord’s sight, even though our schemes may end in disappointment. Is there some greater lesson that you will bring to light through our situation, LORD? Isn’t there some revelation that can be found in the workings of our God? Is there a secret that has until the time of revelation remained forgotten, hidden in the shadows from the light that makes all things known in due time? Of course! Yes, this was a Fatherly chastisement and a prophetic blessing, because in the verse following his losses, we see Jehosephat refusing to allow his servants to sail in the same vessels with servants of the wicked king Ahaziah. And what do we see as evidence of Ahaziah’s wickedness? And what was the evil of his mother and father? LORD, teach us to trust you even in those moments when you wreck our plans so that you might wreck our hearts so they are broken for your will and purpose. LORD, remind us the difference between serving, loving, and ministering to the lost and becoming unevenly yoked with unbelievers. LORD, remind us to go out to offer the Good News of healing, salvation, true blessings, life, and freedom from the sin that binds so many who are still in slavery while maintaining close fellowship with those who are spiritually understanding — both humble and bold in rightly divided unit of Truth and Love (which are not opposed but are in fact the same). Amen. I know that the wages of sin is death. And I know the types of sinning unto death that the Word of God warns us that those living that way shall not inherit the Kingdom of God. And I know that if I see someone sinning unto death and do not warn them, that their blood is on my hands. So what am I to do? Turn my back on the scoffer and answer for his blood on my hands – or suffer him hating me because I have shared the truth? It isn’t easy when you are sharing the whole Word of God with those who are still in love with their sin and who are more interested in a skewed idea of God’s grace that leaves them powerless to resist temptation or see sin overcome in their lives. Many times their self defenses will go up as they cling to their sin. They might loudly accuse you of being a hypocrite as they war against you in every way they can find. This can be their way of justifying to themselves why it is better to cling to sin than to surrender that part of their life to His will, saying, “we all fall short” as a proclamation that they expect no change in their lives — instead of as a proclamation acknowledging that we didn’t earn this born again, new creation walk under our own power — so we give Him all the glory. There are too many who seem to be quite content to use the idea of grace as a license for their own continuation in conscious sin that the Word of God says is NOT God’s will. The mental gymnastics even go as far as some saying, but that isn’t me, that’s my flesh and the more that I try to obey the law, the more my flesh is going to break it. As if self-control wasn’t even part of the equation. As if resisting evil wasn’t serving God. As if they believe that it is evil and burdensome to serve the LORD. I am sharing Truth. Do you love me for it or hate me for it? Do you fear God? This Word of God cuts me deep. But not too kill me, but to heal me. I still am working out my salvation with fear and trembling — not because I don’t trust God, but because I know that my heart is quite deceitful and that my pride can even find a way to turn praising the LORD into something that I might try to take credit for. I know what I deserve, but I trust what He promises. He should get all the credit for anything good and it should be quite evident that the mess isn’t His, but is mine. God has blessed this mess, and He is at work changing it. One surgery at a time. Thank you, Jesus! One cannot love the Truth and love Lawlessness.